When you first hear about backing up your cloud applications, you may not think it’s something you need to be worried about. Unfortunately, this common misconception puts a lot of businesses at risk. Nowadays, most companies have begun to move email into the Microsoft Exchange Online through an Office 365 subscription. They’re also utilizing Sharepoint, Onedrive, and other Microsoft services to store critical files and information. And did you know that Microsoft isn’t backing any of this up? Yes, there are some simple retention policies in place that provide basic protection. For example, if you delete an important email, you will likely be able to retrieve it for up to 14 days. But this isn’t a backup solution. Accidental deletion: Have you ever accidentally deleted an email or an entire folder? Intentional deletion: Employees might intentionally delete email. If this happens maliciously, it could be very damaging. Ransomware: It’s possible for one or more Office 365 mailboxes to be phished and encrypted via ransomware. See “Ransomcloud Demo” on Youtube (by KnowBe4) for an example of what this looks like. Further, the files in Onedrive or Sharepoint are also subject to ransomware. In this case, a ransomware infection on your local system could propagate to the cloud and you may not notice it right away. Third party software: More and more applications are integrating with Office 365 for a variety of reasons. A minor bug in a third party application could send a bad command to 365 and cause accidentally data loss. Our solution to this problem is our Office 365 SAAS backup service. 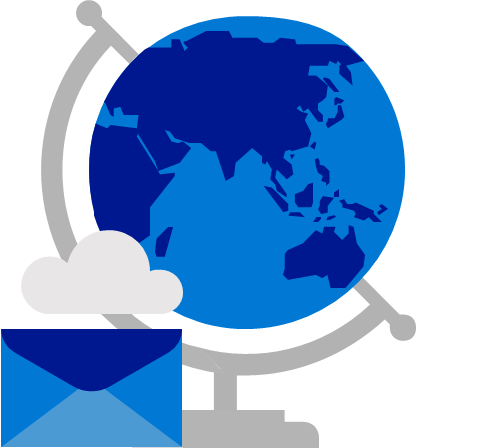 Using a third party product, we connect to your Office 365 account and take a daily backup of your email (including calendars, contacts, etc. ), Onedrive, and Sharepoint data. Backups are kept for up to a year (longer upon request). For more information about backing up Office 365 or any other SAAS cloud products, please give us a call or chat with your VCIO at your next Technology Steering Meeting.